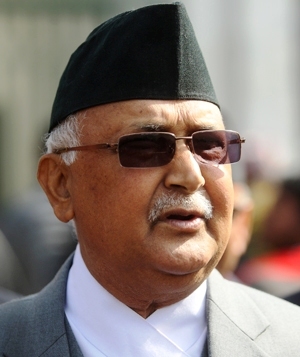 Nepal Foreign Affairs (KATHMANDU, 13 June 2018)-Prime Minister KP Sharma Oli is paying an official visit to China from 19 June 2018. The Ministry of Foreign Affairs on Wednesday has officially made public the schedule of the Prime Minister’s visit to China. Prime Minister Oli will be accompanied by his spouse, Radhika Shakya. According to the statement issued by the Ministry, the entourage of the Prime Minister will include Minister for Home Affairs Ram Bahadur Thapa ‘Badal’, Minister for Foreign Affairs Pradeep Kumar Gyawali, Minister for Energy, Water Resources and Irrigation Barsha Man Pun, Minister for Physical Infrastructure and Transport Raghubir Mahaseth, Chief Advisor to the Prime Minister Bishnu Rimal. Members of Parliament, high-ranking Government officials, representatives of private sector and media persons would be also included in the delegation. During the visit, Prime Minister is scheduled to hold delegation level bilateral talks with his Chinese counterpart Li Keqiang. He will also meet with senior Chinese leaders. He will address Nepal-China Business Forum and think tanks in Beijing. During the visit, the two countries will also sign some agreements and memorandum of understandings. Prime Minister will also visit Lhasa, the capital city of Tibet Autonomous Region of China, where he will meet with the provincial leaders. Prime Minister and the delegation will return home on 24 June 2018.